My anxiety disorder has always presented problems for me in the work place, as a result my career hasn’t gone according to my original plan. When I was at school during the early to mid-1990s it seemed that computing was the area to go into. As I had an interest in Computing, I decided to pursue a career in it. I completed my degree in Computer Science in 2001 at Aston University, Birmingham UK. Upon graduating from University, I found myself unemployed for three months. My first real job came working at a call centre selling PCs. It was there that my anxiety intensified. The company that I was working at was a small computer firm with only around 30 employees. I was very shy at work and kept myself to myself so as not to attract any unnecessary attention. This was until the Christmas party. I got drunk and tried chatting up one of the women there that I secretly liked. After the Christmas party it was common knowledge in the office that I got drunk and made a fool of myself. My wok colleagues started to tease me about it and I got really anxious every time the subject of the Christmas party came up. I was frequently had panic attacks and go red with embarrassment which seemed to attract even more unwelcome attention. I ended up dating the girl in the office and fought desperately to control my anxiety and hide the fact that I was having a relationship with her. 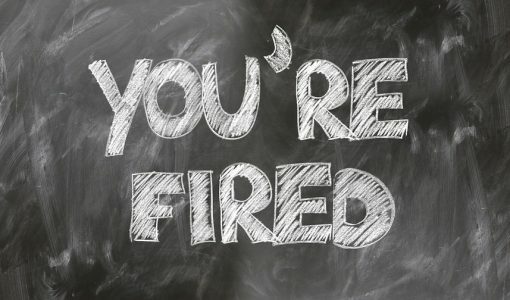 I was made redundant from my role within the call centre. Around this time my relationship started to fail that I now know was predominantly due to my anxiety. It had an inevitable impact upon our relationship, we would frequently argue and I became more and more needy, desperate and scared. I found myself unemployed again for around three to four months. Luckily, I managed to get myself another job working as a web programmer for a company not too far from where I live. This is where my anxiety went into overdrive. The people there were some of the most ignorant people I have ever worked with. When I used to walk in to work in the morning I was ignored. I became paranoid that it was because people didn’t like me. In hindsight I realise that it was because they were typical I.T people, who were engrossed in their work. Never the less I felt very unwelcome and uncomfortable. To add insult to injury I was being bullied by the sales manager, who used to insinuate that I was homosexual, as I was very shy and lacked confidence I didn’t stand up for myself. After around 6 months working at that firm I received a call at my desk to go to the board room. My anxiety started really went it to hyper drive, as I knew that it wasn’t good news. I went to the toilet and I had a really bad panic attack. I couldn’t stop urinating and my mind filled with dread. After around 10 minutes I plucked up the courage to leave the toilet and walk up to the board room where the director and my line manager were waiting. The director said that he didn’t think I was a “Happy Bunny”. I said no, I told him about the bullying. He told me that is my responsibility to sort it out, I said that it wasn’t as I was a junior member of staff. He then said well as you aren’t prepared to sort it out then I will serve you with your notice, in other words I was fired!